Now since the last NHC forecast point with the 60mph forecast, is inland a bit, this means the max intensity should probably be 70mph or 75mph right before landfall. This is consistent with a Category 1 landfall. I think NHC will need to issue Hurricane Watches at some point for PTC7. special advisory to be issued by 900 AM EDT (1300 UTC). BREAKING: Tropical Storm #Gordon has formed near the Upper Florida Keys, with winds up to 45 mph. Tropical Storm Warnings are coming for portions of South Florida and the Keys in a Special Advisory to be issued by 9am EDT. Frictional veering with the flat, low-lying terrain of south Florida likely helped #PTC7 attain earth relative westerlies & become TS #Gordon in an otherwise somewhat unfavorable large-scale regime characterized by fast east-southeasterly flow aloft. The fact Gordon has formed just now when most didn’t expect an actual TS before entering the GOM puts the intensity forecast in more uncertain territory in my opinion. The only thing really hindering it will be fast movement, shear should be moving out of the way for the system. 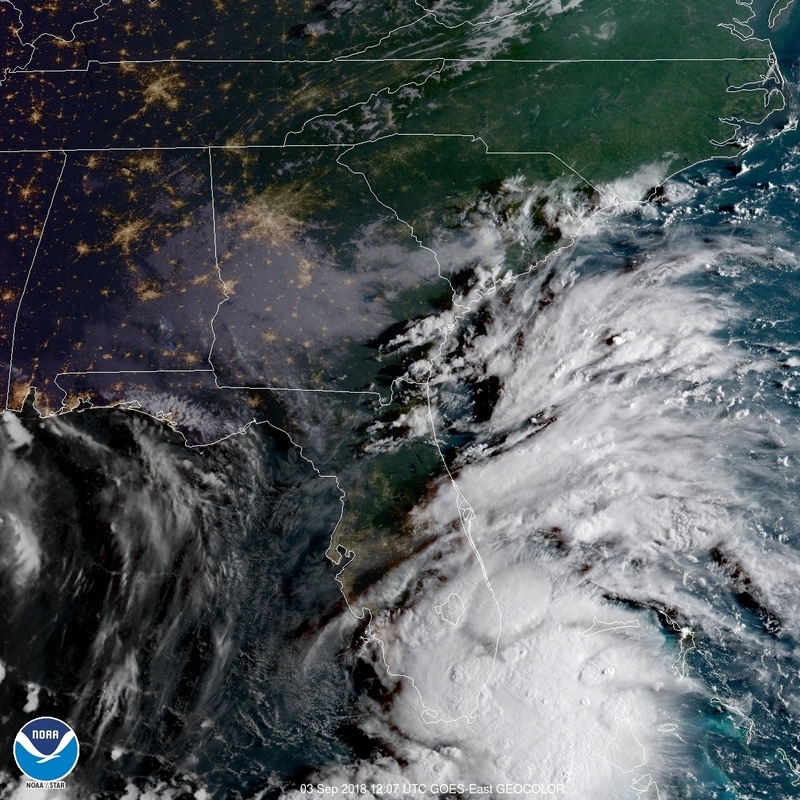 Watch as #Gordon organizes from a tropical wave into a tropical storm since Sunday on this radar loop, courtesy of @BMcNoldy. Not too hard to tell that we’re nearing the typical peak of Atlantic hurricane season activity. We have Tropical Storms #Florence and #Gordon currently active as well as an area to watch with a 30% chance of development. I keep repeating “this is the year of rapid near shore development”. 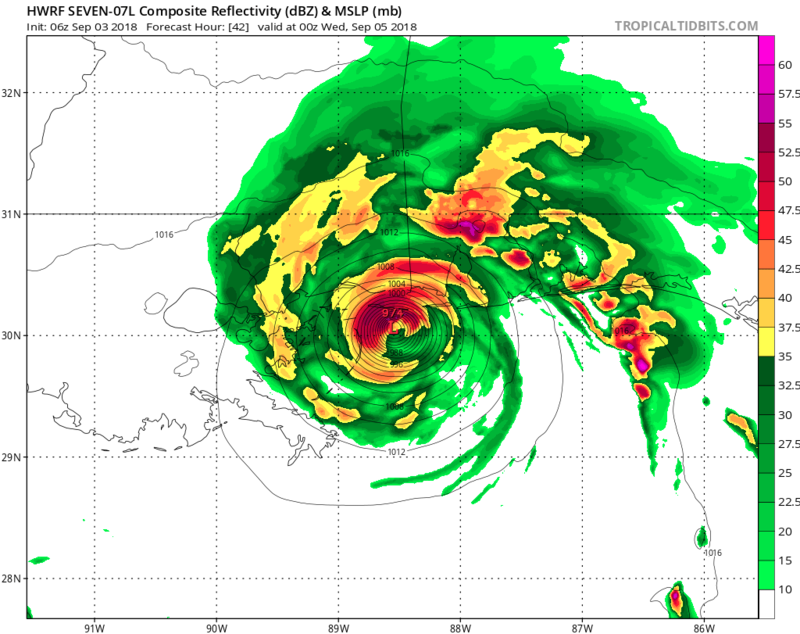 Take ALL tropical storms seriously because they could become a Major hurricane with only 48hrs notice. Destin Florida to the Mississippi-Alabama border…1 to 2 ft.
amounts of 8 inches are possible over the southern Florida peninsula. 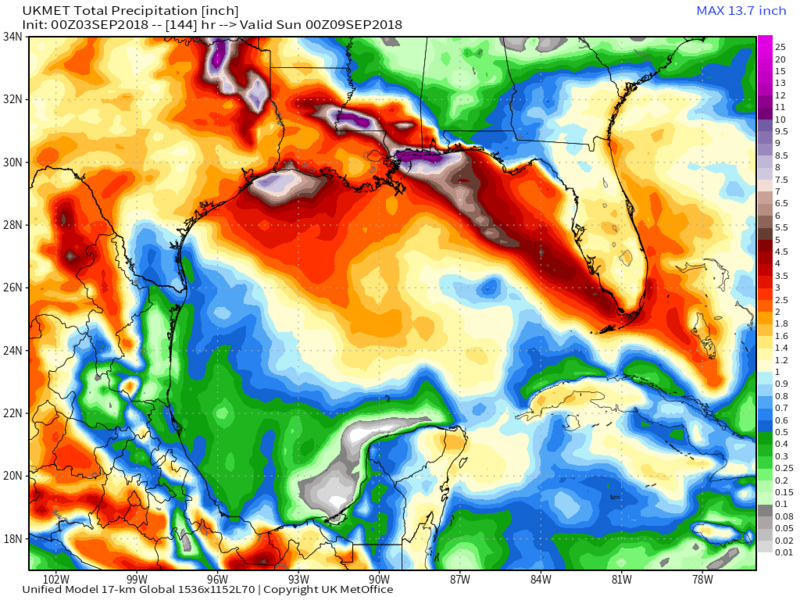 Gordon is expected to produce total rain accumulations of 4 to 6 inches over southern Alabama, southern Mississippi and Louisiana, with isolated maximum amounts of 8 inches through early Thursday.